What is Doraemon Doing in Wat Rong Khun? 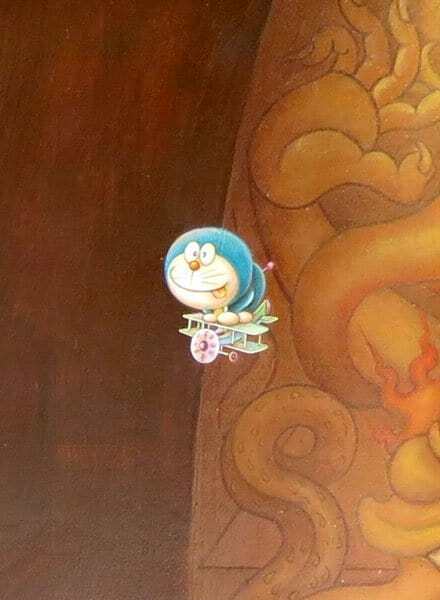 Home / Love Art / What is Doraemon Doing in Wat Rong Khun, the white temple? What is Doraemon Doing in Wat Rong Khun, the white temple? 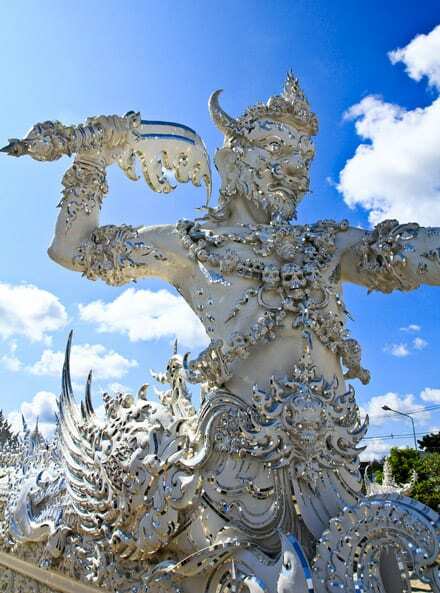 The Wat Rong Khun is a glittering whitewashed temple that is situated 13 km south of the town. It is a well-known attraction among locals as well as tourists. Till date, around 5 million tourists have visited the place and 200000 of that number are foreigners alone. Construction was started in the year 1997. Unlike most of the century-old temples, the White Temple Chiang Rai is the dream work of art of the famous Buddhist Thai art painter, Chalermchai Kositpipat. 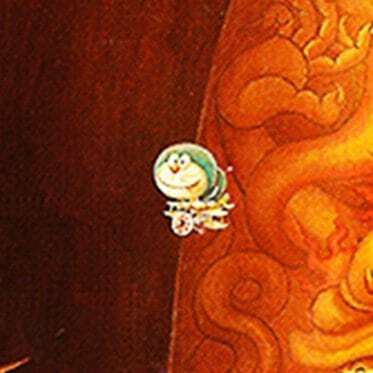 Is that Really Doraemon Flying Over My Head? A temple built with a very modern inspiration, the White Temple depicts superheroes as well as sci-fi persons, the most notable of them being D. Doraemon flies through the paintings, a huge demon rises wielding a sword, hands come up from underground on a bridge towards a celestial temple, there are shrunken heads sprouting Spanish moss hanging from the branches. Strolling through the magical world of the Wat Rong Khun, there are these delights waiting for you. Perhaps the most outstanding among the temples in the country, this exquisite Thai beauty is an expression of the art of famous painter Chalermchai Kositpipat. This profound Buddhist disciple is known for paintings with a religious theme. However, this is not any traditional temple. Here, Chalermchai is reimagining the contemporary world. 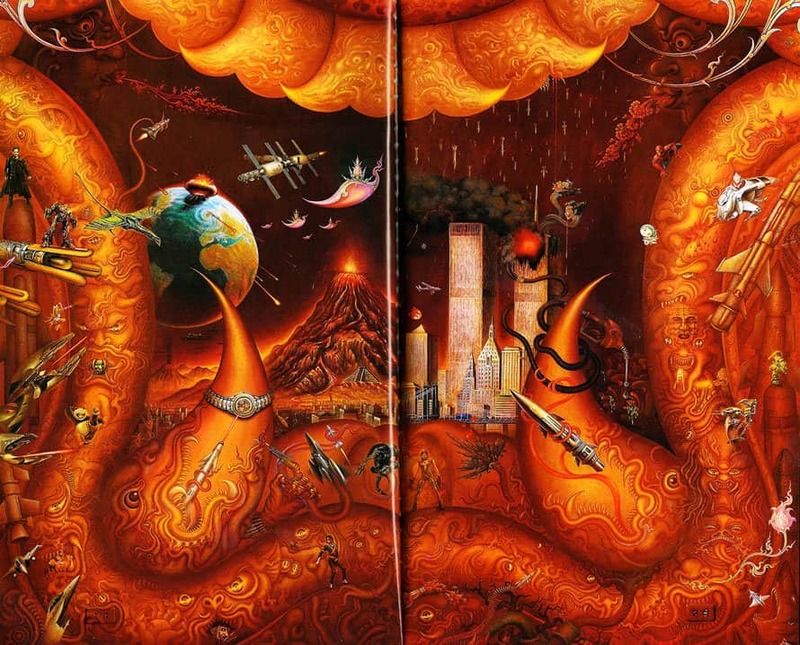 Moving through the temple premises, you will find the artist’s surreal vision of the Buddhist teachings. 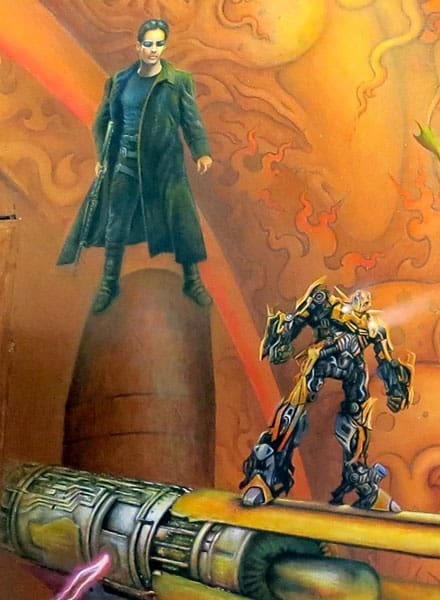 Superheroes, actors and cartoons enter the murals which depict Buddhist motifs. Started by the celebrated Thai artist, the construction of the White Temple is still in progress. It is an extraordinary piece of art with outstanding and ornate designs shimmering in stark white paint. This never fails to impress even the most cynical observer out there. The blindingly white façade is depicted with the minutest attention to detail and gothic elements. Kositpipat has not failed to impress with his meticulous portrayals of heads hanging from the trees, or something as enchanting as the bridge which makes way for the main building. In order to reach the resting place of the Buddha, you are required to cross the bridge which represents the process of rebirth with the dungeons of hell beneath. 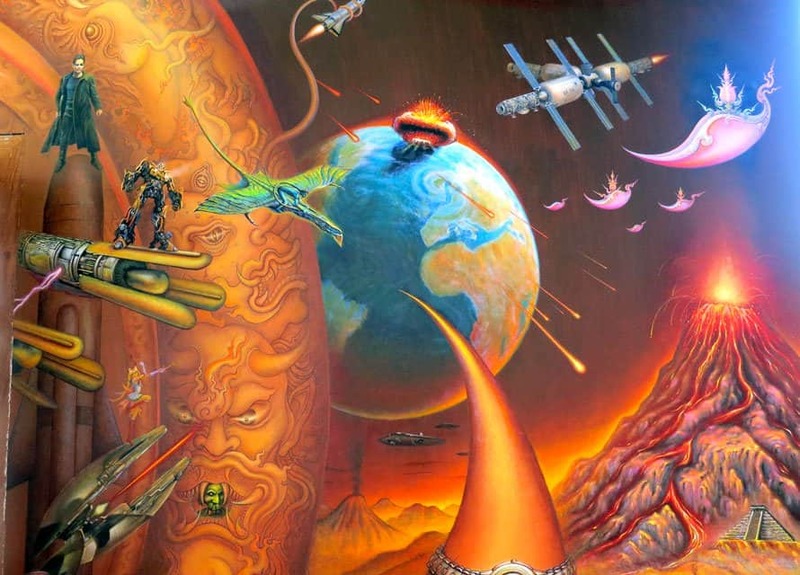 The inner temple seems like people praying before the Buddha, but on closer examination you realize that this is the artist’s view of the end of the world. 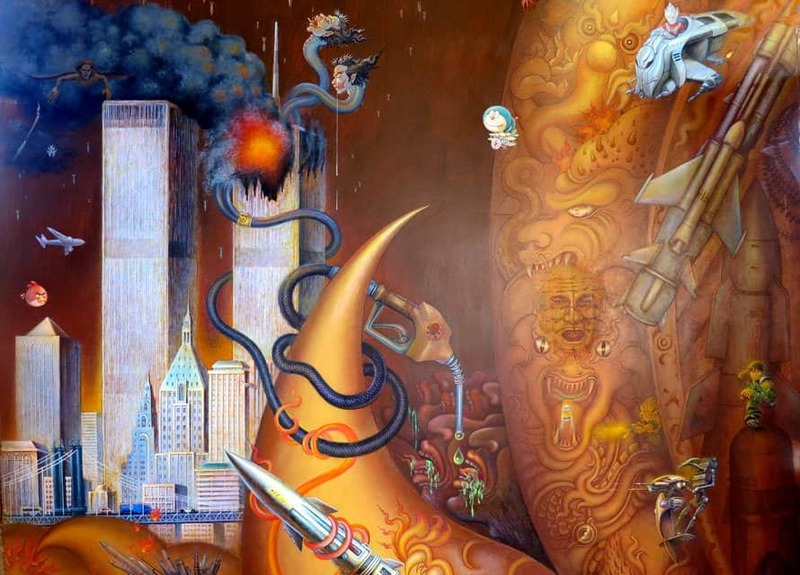 There are the demons, Twin Tower explosions, the Matrix, Michael Jackson and even of Avatar. The White Temple Thailand is a construct of the artist’s vision. It was built from his earnings, without any solicitations from the government. Creativity inspired him to return to his hometown and dedicate his life to construct the temple as an offering to Lord Buddha and convert the piece into a national artistic treasure. Before you enter the temple premises, you are welcomed by morbid statues and hanging heads that welcome the visitor. The White Wat shines in regal splendor under the sparkling sun. Inspired by the traditional architecture of the Thai temples, the construct is covered by a combination of whitewash and other small mirror chips that make it glitter like porcelain from a distance. White stands for purity and the mirrors symbolize the dhamma, who teach men to follow their mind and be kind to others. 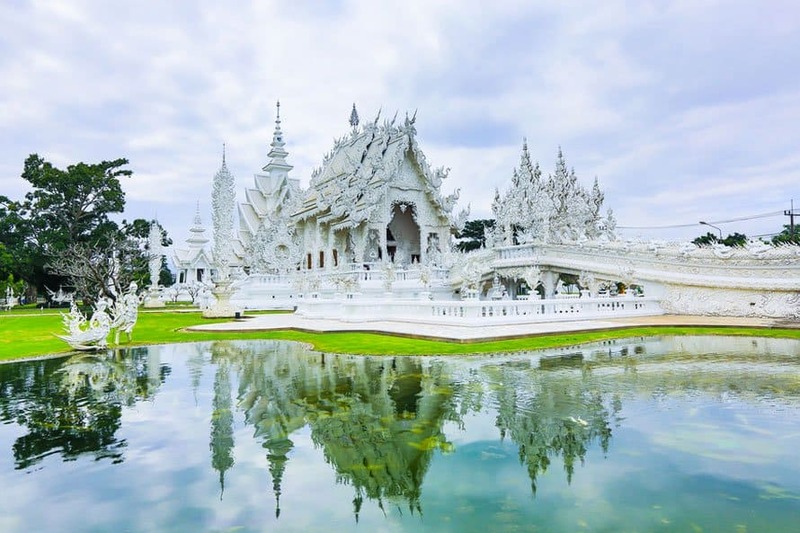 Every detail of the Chiang Rai White Temple reflects religious symbolism. However, most Thai people will be unaware of the meanings unless they are aware of the details. A departure from the usual gold, Chalermchai constructed the temple out of white, which stands for the Buddha’s purity. The mirrors that are placed in the structure reflect the light which represents the wisdom of the Buddha shining along the universe. A lot of messages refer to the escaping of desire, passion and greed. The work in the Wat Rong Khun is a transfer to the realm of the sublime through Buddhist teachings. To reach the temple hall, you should cross the space that the demons guard and move over the bridge on top of an ocean. The entire building represents the world of Buddhism and the desire to move towards nirvana. In 2014, the Wat Rong Khun was hit by an earthquake and sustained considerable damage. However, the complex of the Wat is still incomplete. 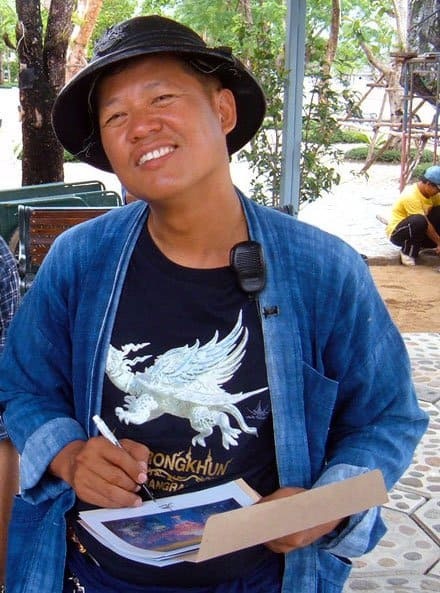 Kositpipat is training people to carry on his project even after his demise. If you are in the Land of Smiles, don’t fail to pay a trip to this masterpiece in northern Thailand.